We are so grateful that you’ve joined us in this mission to share how to heal from vaccines with parents everywhere! And we can’t wait for you to see Episode 8… up and running now. We’re happy to introduce you to Patrick Porter, a counselor whose innovative neurological therapy (called the “Brain Tap”) is helping to coax the brain through the proper pattern of frequencies and allowing healing to take place for kids suffering from the effects of stress and disorders like autism, anxiety, and ADHD. You’ll also discover how Dr. Porter’s techniques have helped children get back into a healthy sleep pattern, with vast improvements seen in his patients. Dr. Bark is an expert witness for trials that involve vaccine injury and vaccine custody issues. If parents decide not to vaccinate, what can they do to protect themselves legally? Dr. Bark explains the different vaccine exemptions that are available to parents wishing to protect their children, and how they work. She goes into detail about the process of review that medical exemptions go through in many states, and describes in detail some of the legal issues that have arisen due to vaccine laws. You’ll hear some shocking things in this interview — and, in the end, you’ll be equipped with valuable information about your rights and the legal issues surrounding vaccination in our country. 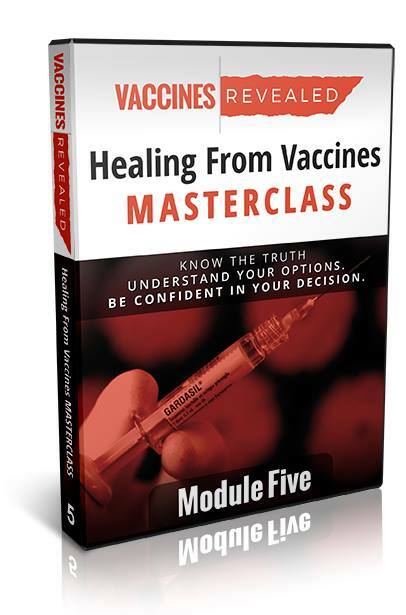 I hope you’ll consider supporting us by purchasing the Healing From Vaccines Masterclass. Your partnership in our mission allows us to continue doing what we’re doing—and, it helps all of us bring the truth about healing from vaccines to confused and concerned parents everywhere. Thank you for joining us! 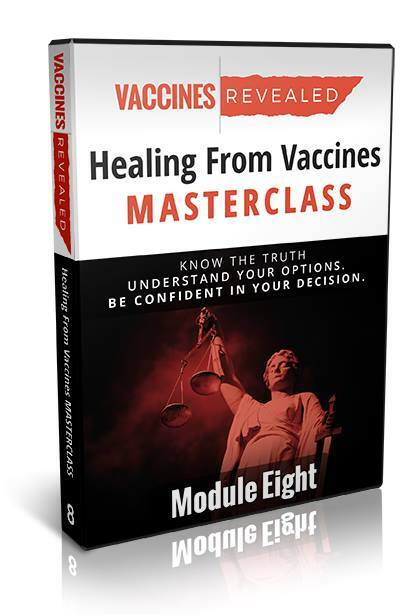 The Healing From Vaccines Masterclass has made its way into tens of thousands of homes across the globe. We are so grateful that you’ve joined us in this mission to help heal your children from vaccine damage. Inside, Dr. Shade will explain how the viruses and toxins in vaccines virtually “light a fire” in the body that causes anxiety, brain fog, and neurotransmitter imbalances which can manifest as behavior issues. In healing vaccine injury, Dr. Shade uses a 3 layer detox approach that MUST be taken in a particular order to work properly. Working closely with patients to ensure that the detox process is effective, he sees amazing results from this treatment. Thank you! 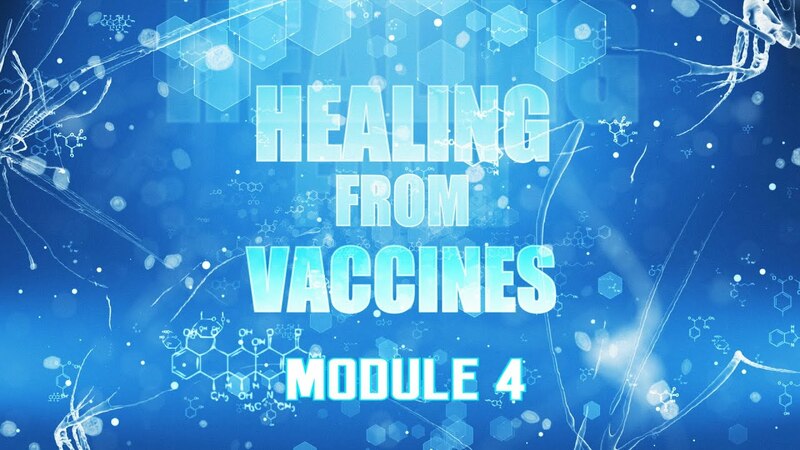 So many of you have shared the Healing From Vaccines Masterclass with your friends and family. In truth, the material in these episodes is life-changing and we are honored that it’s being shared far and wide. You can support the Healing From Vaccines Masterclass and own all of these outstanding episodes for a limited time at this discounted pricing – up to a 68% discount! Choose from a digital version or on DVD and watch whenever you’d like. 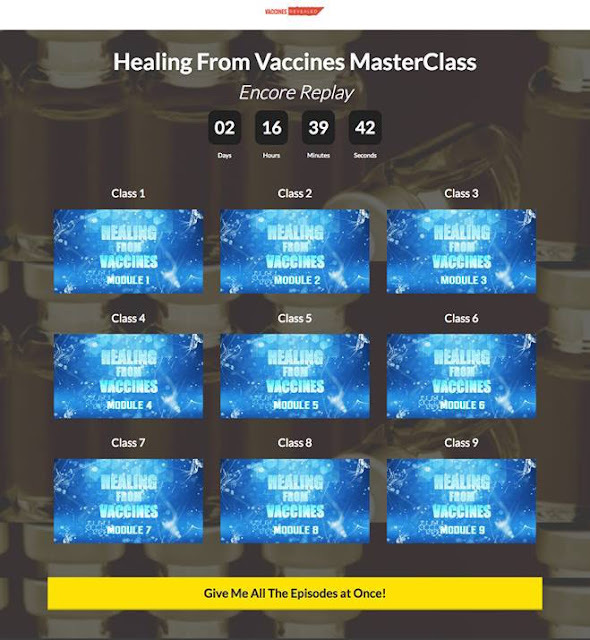 This free viewing event will end soon, but you can own the Healing From Vaccines Masterclass and have every minute from every episode within arm’s reach when you need it most (or ready to share with someone whose child is exhibiting vaccine damage symptoms and doesn’t know where to turn). 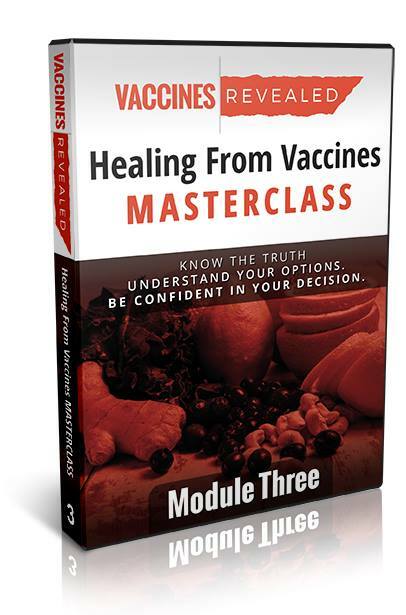 Thank you so much for supporting the Healing From Vaccines Masterclass —you are a valuable part of our community and we appreciate you! First of all, we prefer the term “Across the Earth”, Ahem! For obvious reasons. Tonight’s episode talks about the order of things, like Phase I, II, and III detox, the directionality of things, as he said. Some of those terms I knew based on earlier reading and research of Dr. Brice E. Vickery’s work and research. His work, research, and articles are valid. It’s just that there is no oversight on his supplement production and thus, his amino acids got compromised, with nano, cellulose and polymer contamination. So we switched to the MAP Master Amino Acid Pattern) amino acid blend and any remaining amino acids we take separately. Autonomic Nervous system (NRCT, ABC, NCR, AtlasProfilax), which has been already posted in here COUNTLESS times. Get into parasympathetic as opposed to sympathetic overload (fight of flight). Sympathethic overload results in thyroid & cortisol issues, which is ALOT of this belly fat stuff too, besides other obvious factors. Nrf2 regulator: Sulfur as he said. We use the organic sulfur crystals and the NAC, which has been mentioned already in this series. All of this stuff I already knew. So you see? I’ve been paying attention to previous and prior studies, etc…, but the new thing we learned is the proper ORDER OF THINGS. Like doing it int he wrong order will result in stirred up inflammation and put toxicity back. Stay away from any and all nano-delivery crap period. No nano delivery, no nano silica! Two speakers have already suggested it, and I must say something. We can get this done WITHOUT Nano. Okay? Use magnetics and anti-nano devices. See? As before, I sometimes disagree with some of the summit/docu-series/masterclass speakers on many things. There’s too much research to backup the dangers of nano already, thanks to Tony Pantalleresco and some of the others. Dr. Bark will share a brief history of how vaccine injury became a taboo subject, despite the fact that the government studies found that the accumulated effects of vaccines can lead to the development of several dangerous autoimmune diseases. They even show clear links to cancers —especially blood related (for example, leukemia). In addition. Dr. Bark reveals how the CDC has suppressed recognition of many known injuries related to vaccines, and the “rules” they set may prevent many issues from being recognized. The good news is, healing is possible. And Dr. Bark’s will share her 3-pillar approach to helping vaccine injured kids lead normal, healthy lives. Go watch this episode below (and try to keep your anger in check). Get ready – this one really opens your eyes to how Big Pharma and the government are basically ignoring some bone-chilling findings in the name of the almighty dollar. P.S. We have been overwhelmed with the response to this series. We are honored to be able to bring you this program in its entirety for free. Since the series began to air, hundreds of you have asked if you can own the entire series, and we are pleased to be able to offer that to you. 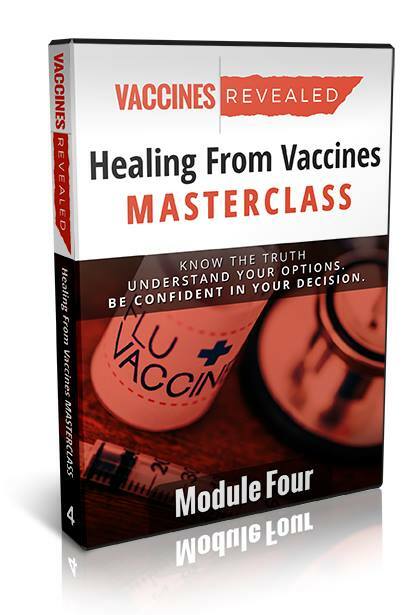 You can own the Healing From Vaccines Masterclass and further support our mission to bring the truth about how to heal from vaccine damage to the world. This is a powerful tool for sharing the real truth (along with real solutions) with those who have vaccinated children or are considering vaccinating their kids. For a limited time, we are offering the entire series for you to own, permanently (digital or physical product) for 50% off. This is our special insider’s/friends and family pricing. Last night’s episode with Dr. Jeffery Knight was a game-changer. He revealed to us how healing from vaccine toxicity can happen, how the body knows what to do when it’s given the right resources and why it’s vital to keep moving forward and hold onto hope. Don’t miss what Dr. Knight reveals in this episode! 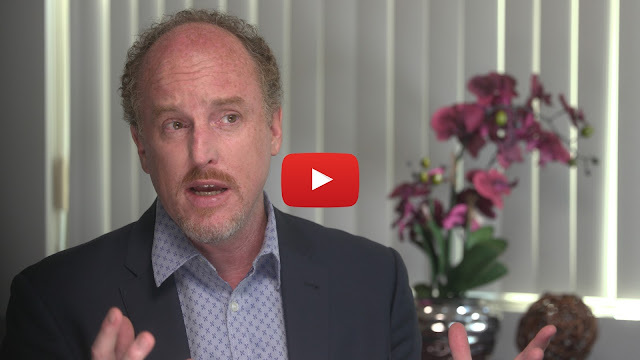 It’s an interview that speaks the truth about how to heal quickly from vaccination damage right into the heart of all of us, and leaves us forever thinking differently. … It’s one of those. If this series has made a difference in the health of your children, we’d love to hear from you! Drop us a note and let us know your thoughts. You’re absolutely going to love this episode. 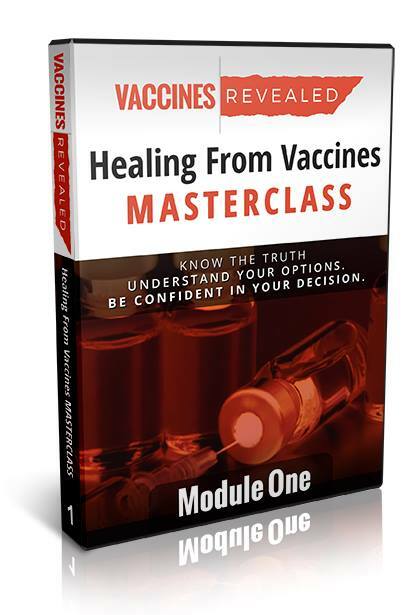 We’ve packed it full of powerful information that will open your eyes to a whole new level of healing from vaccine damage. In his practice, Jeffery Knight employs a multidimensional approach to healing from vaccines. Utilizing 4 separate treatments, he’s seeing incredible results in his patients with autism. 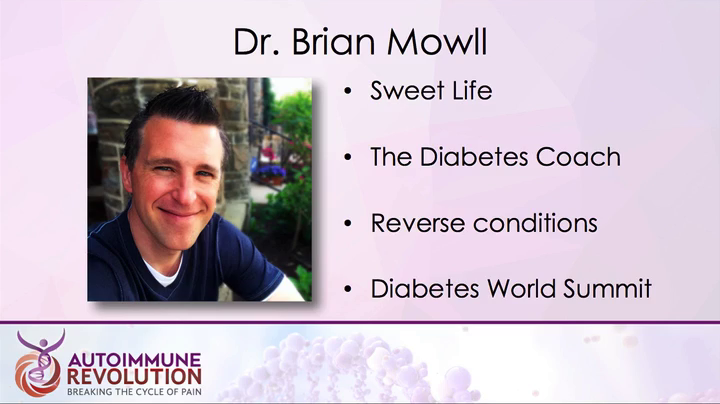 He’ll walk you through some amazing case studies and explain the connection between 2 things you would never think are related, yet can cause the inflammatory reactions that run rampant in patients with vaccine injury and autism. 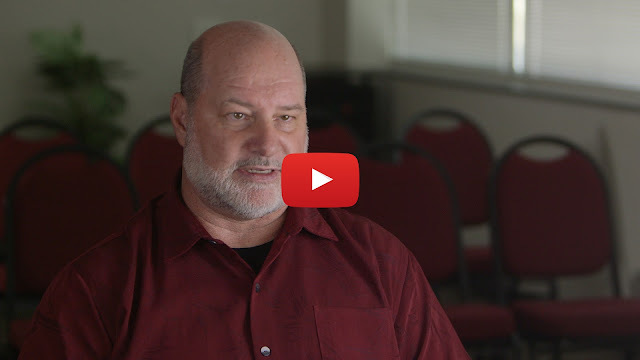 This module is a powerful message of hope for healing, and Jeffery Knight’s compassion for families dealing with autism will touch the hearts of anyone whose life has been affected by this difficult disorder. How are you liking the series so far? 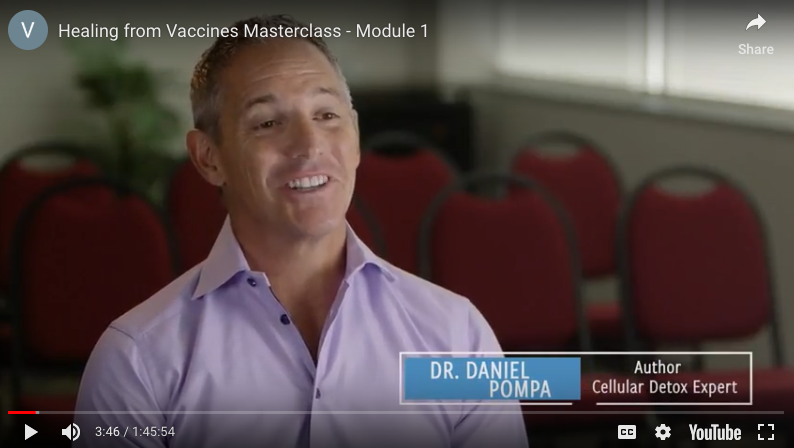 We’ve had some amazing feedback from our viewers, and it’s been encouraging to know that the Healing From Vaccines Masterclass is making a difference. Hope you enjoy Episode 4. We’re glad that you’re with us on this amazing journey of healing! Register here to view this awesome series! 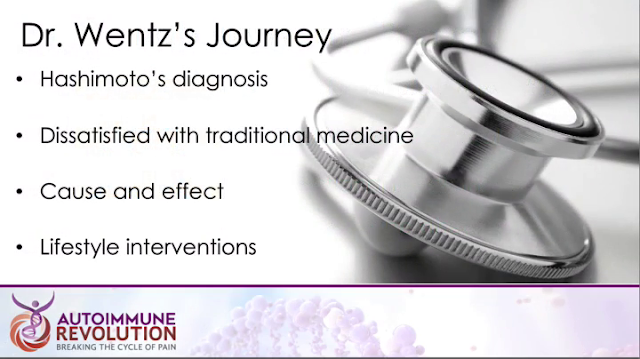 Dr. Geanopulous offers deep insight into healing from vaccine injury that addresses the problem from multiple angles. 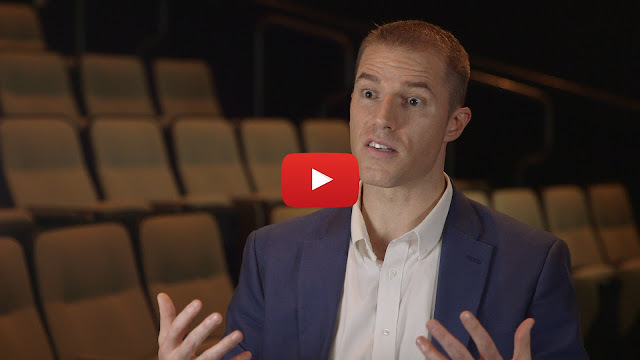 He then explains the steps he takes to bring about healing in his patients, including one vital step in returning to health that helps his autistic patients by revisiting important developmental stages that they might have missed due to their condition. This episode is packed full of information about how vaccines affect your body and the importance of treating vaccine injury as a neurological condition will become strikingly apparent. You won’t want to miss this one–go to the page below to watch now. 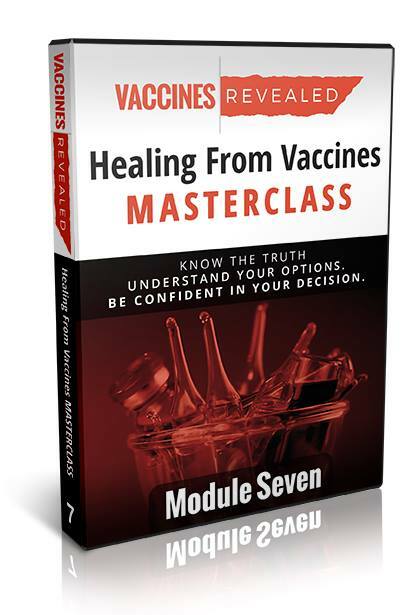 And by the way, we’ve had some people ask if it’s OK to share what they’re learning in the Healing From Vaccines Masterclass. The answer is a resounding YES! Even if they’ve missed a few episodes, they can get started watching today. And, we’ll do our best to make sure everyone has a chance to see all of this series while we’re still airing it for free! You can share by sending them to HealingFromVaccines.com for their own personal viewing link. I know you’ll enjoy tonight’s episode, and I’m hoping that it helps to provide the answers you’re desperately seeking. Please consider further supporting our mission to bring the truth about these healing protocols and techniques to everyone who is watching their children suffer from vaccine damage. For a limited time, we are offering the entire series for you to own at our special insider’s/friends and family pricing, and… it’s only available during this exclusive series airing. We’ve been so excited to share the Healing From Vaccines Masterclass with you, having poured many months of planning, research, filming, and editing into this. Above is your link to start viewing the Healing From Vaccines Masterclass, any time between now and 9 pm EST / 6 pm PST time tomorrow. Module 1 plays for 22 more hours – you may want to check this out! Homeopath Cilla Whatcott is one of the featured presenters and she explains how homeopathy helps reset the energy systems of the body for healing. TRUE HEALING. 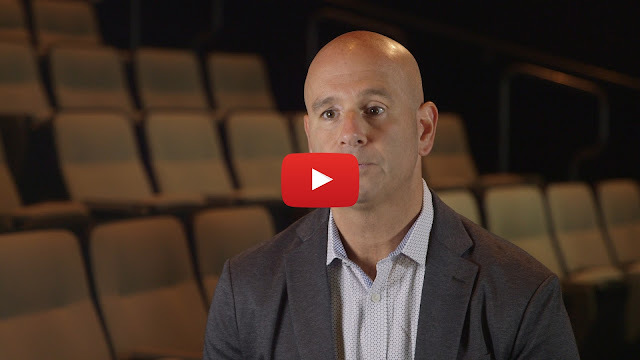 Dr. Pompa’s pain-to-purpose story is both inspiring and heart-rending—having been through his own battle with heavy metal poisoning, he has first-hand experience with the symptoms of vaccine injury. Inside, Dr. Pompa explains how epigenetics, exposure to toxins, and your microbiome can create the perfect storm that leads to chronic disease and neurological injury. 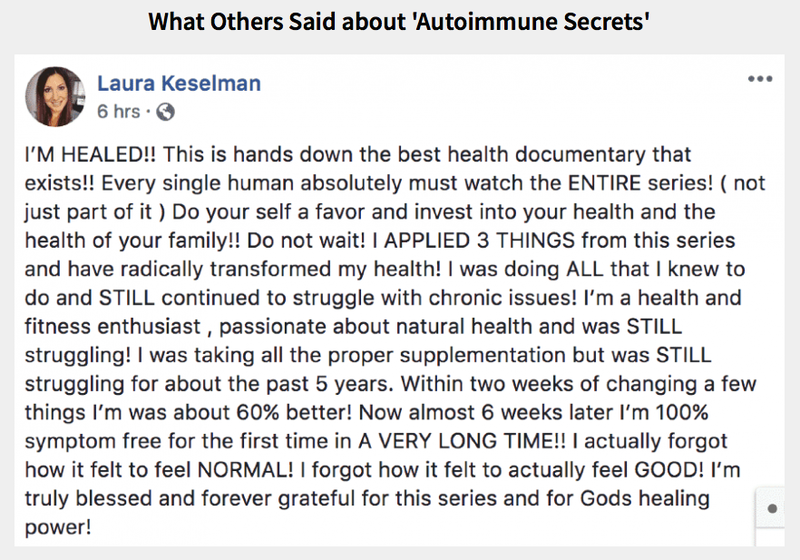 He then shares his “five R’s” for healing, along with a host of helpful hints for those who are beginning the journey from vaccine injury back to health. Dr. Whatcott is a homeopathic doctor who has dedicated her life to healing—and she has treated many patients who are suffering from vaccine injury. In this interview, you’ll learn how Dr. Whatcott tailors treatment to each of her patients utilizing homeoprophylaxis—a natural, homeopathic way to strengthen the immune system and protect yourself against disease without being exposed to the toxic soup found in traditional vaccines. 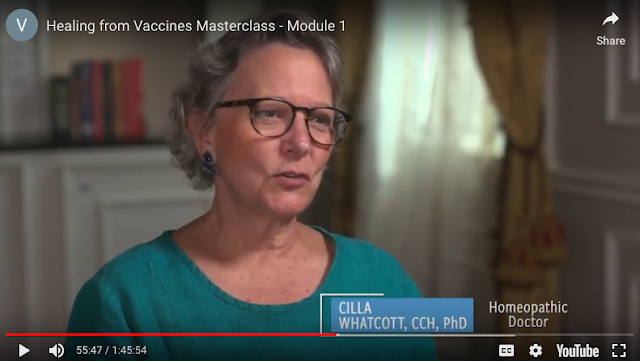 Enjoy the opening episode of the Healing From Vaccines Masterclass, and don’t forget to share it with your friends and family—send them to www.HealingFromVaccines.com so they can sign up for their own personal viewing link! 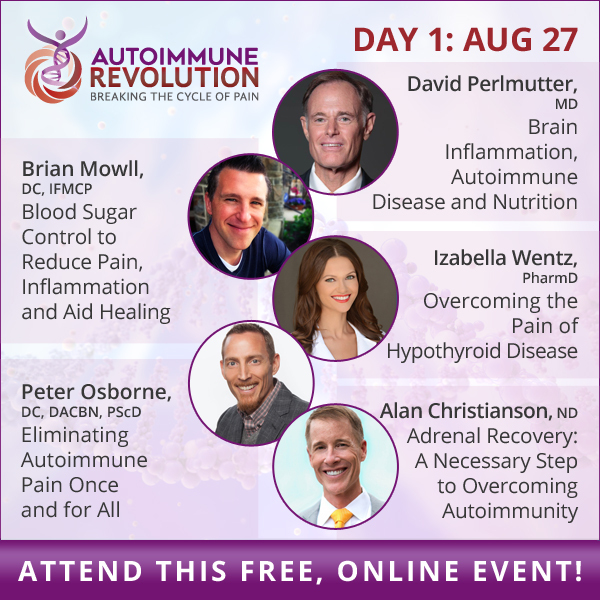 [The Autoimmune Revolution 2018]: Welcome to Day 1! 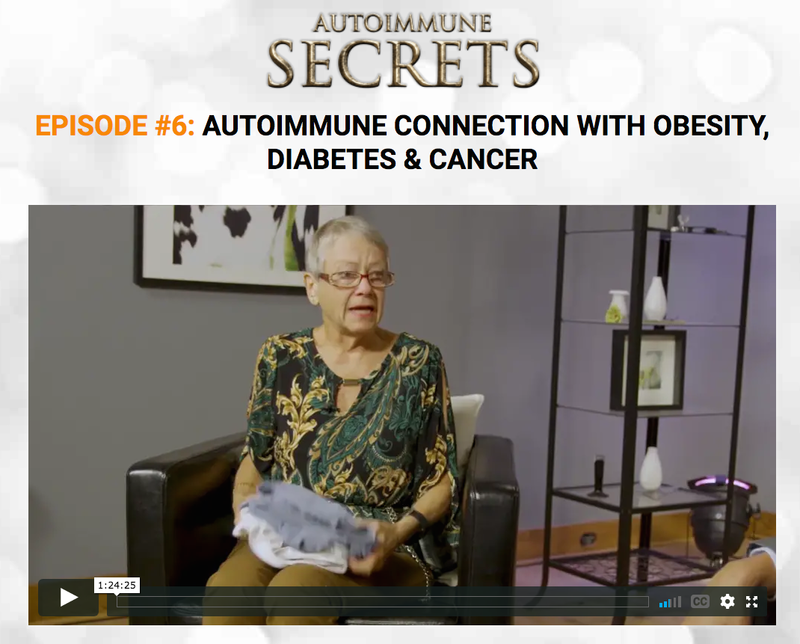 – Our experts are here to help you identify and overcome autoimmunity! 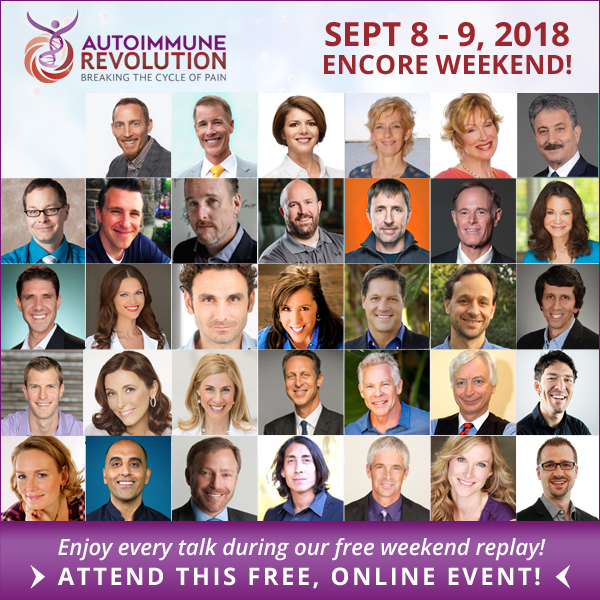 The Autoimmune Revolution 2018 started today! 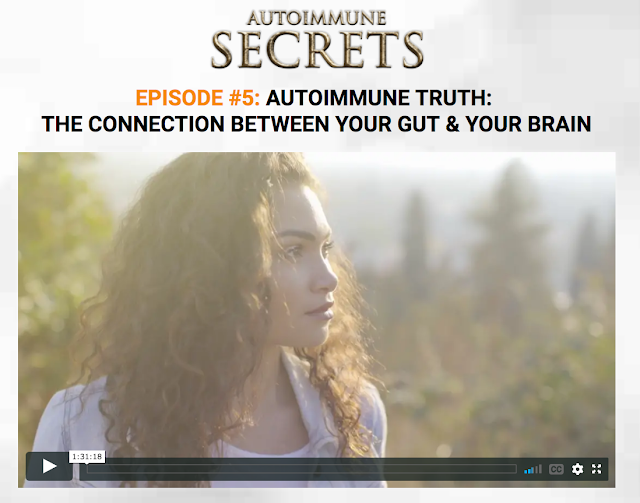 Watch 30+ amazing experts teaching you how to identify and overcome autoimmunity! Learn with me today online for free! 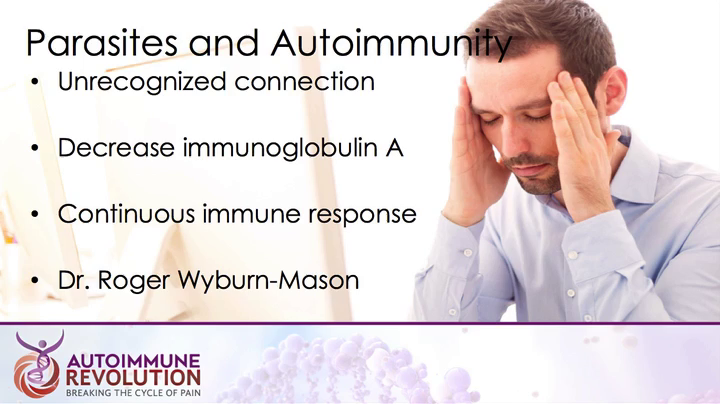 These experts could help with autoimmunity! 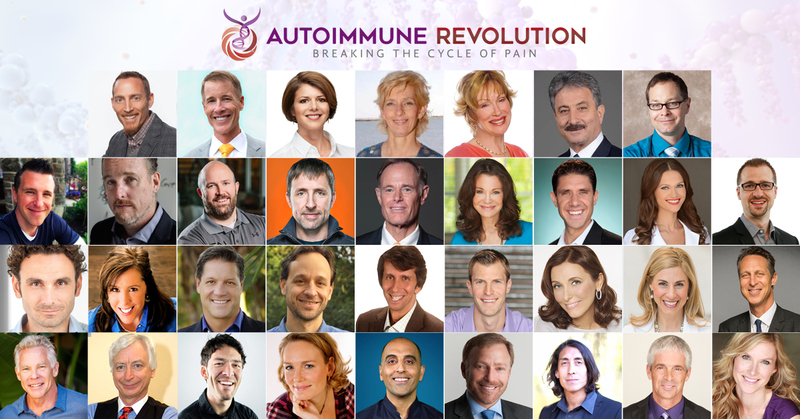 Be sure to join us on November 5th for the start of the free, online Autoimmune Revolution — 35 experts helping you treat the root cause of your pain, not just the symptoms! It’s amazing. The access we have to information about health today, for free, makes us far more informed and educated than ever before. Yes, I know it can be overwhelming, but if you space it out and learn from the talks most relevant for you — I believe a healthier and happier future can be yours. That’s why we’re taking a moment today to let you know about these 3 incredible (and free!) 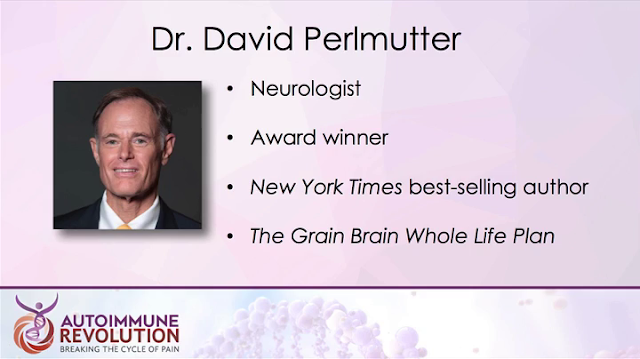 talks from Dr. Jack Wolfson, Dr. Pedram Shojai and Jonathan Landsman that are a preview of Dr. Peter Osborne’s Autoimmune Revolution! Click here to start learning from them now! …and you never know what one thing will change the course of your health! 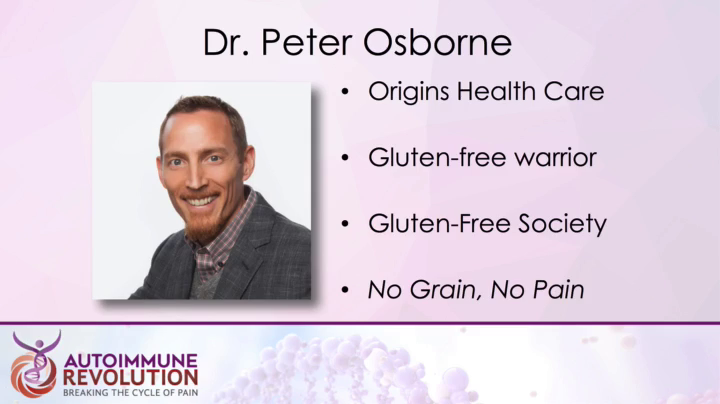 You’ll also be registered for Dr. Peter Osborne’s Autoimmune Revolution, during which you’ll learn to treat the root cause of your pain, not just the symptoms! 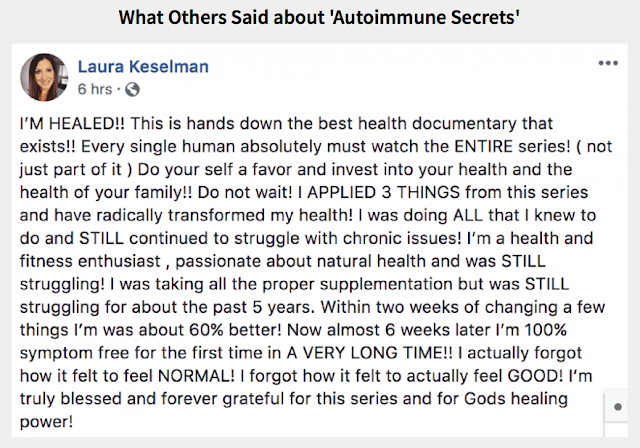 These examples are only a preview of the incredible expert tips that can be learned from The Autoimmune Revolution, so I hope you’ll click here to continue your learning journey today!! Our experts are here to help you identify and overcome autoimmunity!